"Dev quoted a very reasonable price and got to work right away. The workmanship was second to none and within a few hours all the locks in the propery were replaced with insurance approved British Standard locks. 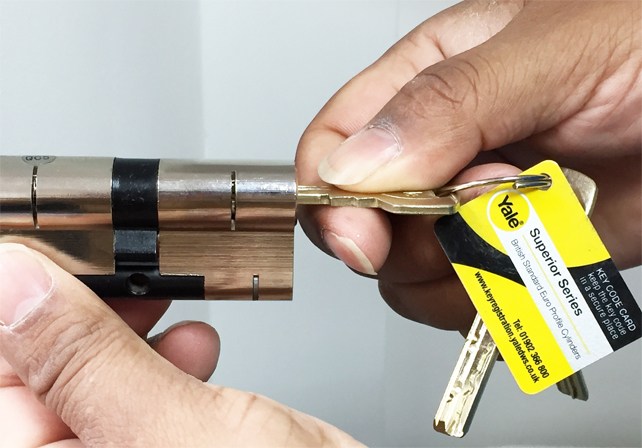 I would not hesitate to recommend Dev Halai to anyone I know needing locks changed/upgraded. He provides a no nonsense approach and peace of mind at a very reasonable price. " "Your home being broken into is never a pleasant experience. Dev helped alleviate the concern by promptly attending to my home and changing the relevant locks. Dev recommended simple and cheap additional security measures, which helped my parents feel more secure. I would have no hesitation to recommend Dev, particularly when urgent assistance is required." "Dev is a true professional, with a superb attitude for his profession. I would have no hesitation in recommending his services. " "Dear Mr Halai This testimonial is to recognise a business who has worked very closely with my office over the last 12 months. Dev Halai of Yashdev Locks has been nothing but a gem. His reliability and Knowledge of being a locksmith is second to none. I have been letting properties for over 10 years and in my field, i have never come across someone like Dev. All my staff are comfortable using Dev, and he is first point of call when there is an issue with a lock. My staff are reassured with the quality of work Dev produces, and this is something we at Hunters endorse. Dev has become part of my Hunters office team and has the nickname "thirty-minute man" defined as doing a job within 30 minutes. Thank you Dev, your support has helped us isolate a solid locksmithfor the local Hunters offices and i can assure you we will not use anyone other than Dev Halai of Yashdev Locks. "